Belle Vue Bar has undergone a ‘makeover’ ahead of today's local derby against Barnsley. With the news that Doncaster Rovers old ground Belle Vue was to be knocked down and rebuilt on, the VSC felt it was right to commemorate the ground at the Keepmoat Stadium. Rovers fans from the Viking Chat forum have kindly donated money to cover the cost of the new wall displays in the bar. 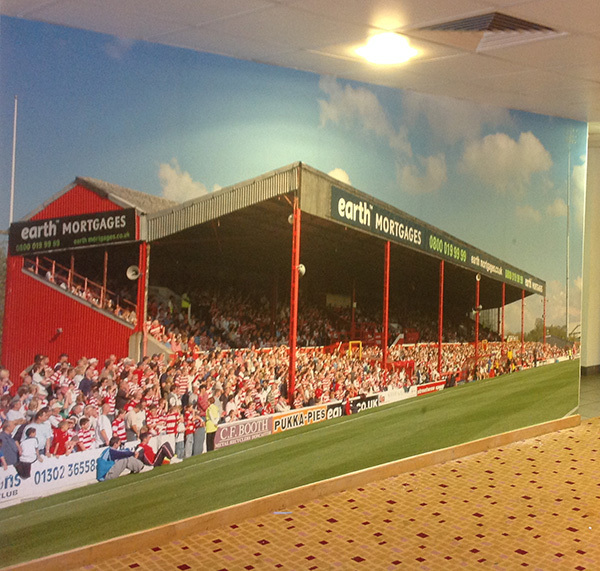 VSC Director Rob Williams commented, "We wanted to make the Belle Vue Bar feel a bit more like home, which Belle Vue was for many Rovers fans for many years. The club gave us this great opportunity and VSC members and forums users have once again put their hands in their pockets and we think the walls look fantastic!". VSC Secretary Martin O’Hara added, “With Belle Vue being built on, it’s important that we remember it. It’s a memorable place to so many Rovers fans and where better to remember it than the Belle Vue Bar. 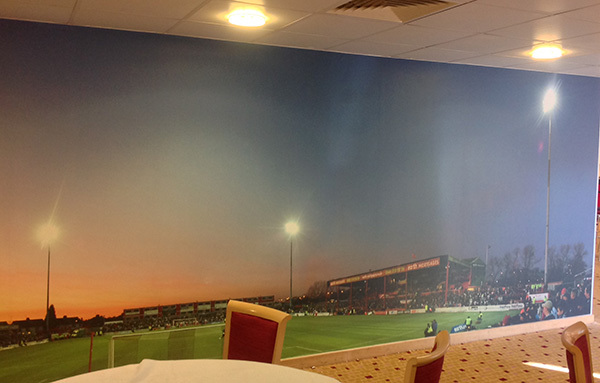 Situated in the West Stand, the Belle Vue Bar welcomes all supporters from home and away clubs with Sky Sports shown on the TV screens prior to kick off and after the match. If you're going to the match today make sure to pop in and have a look. We are still accepting donations for this project; click here for details on how to donate.